A new book in the Oxford Studies on the Roman Economy series has been published: Trade, Commerce, and the State in the Roman World. 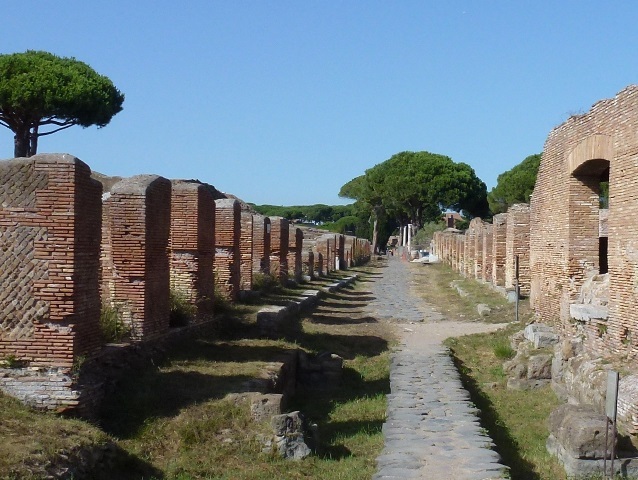 The new database of Roman cities, compiled by Jack Hanson, is now available on the OxREP website. Join us for coffee and biscuits afterwards! Now published - Fluvial Landscapes in the Roman World, edited by Tyler Franconi (Journal of Roman Archaeology Supplemenatary series 104). 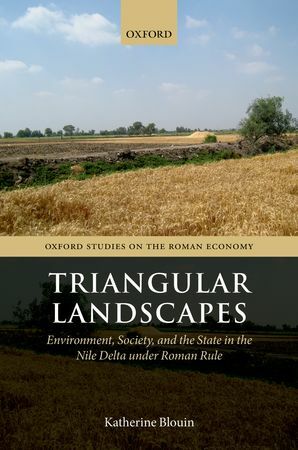 The volume contains papers from the 2014 Oxford Roman Economy Project conference on “Shifting fuvial landscapes in the Roman world: new directions in the study of ancient rivers”, held at All Souls College, Oxford. The Coin Hoards of the Roman Empire Project is the brainchild of Baron Lorne Thyssen and is funded by the Augustus Foundation. 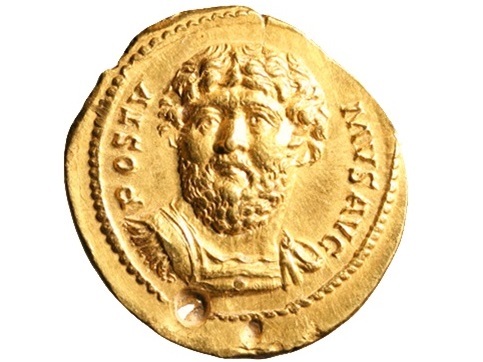 It intends to fill a major lacuna in the digital coverage of coin hoards from antiquity. Its aim is to collect information about hoards of all coinages in use in the Roman Empire between approximately 30 BC and AD 400. Imperial Coinage will form the main focus of the project, but Iron Age and Roman Provincial coinages issued within this period will also be included. The data we collect will provide the foundations for a systematic Empire-wide study of hoarding and will hopefully promote the integration of numismatic data into broader research on the Roman Economy. 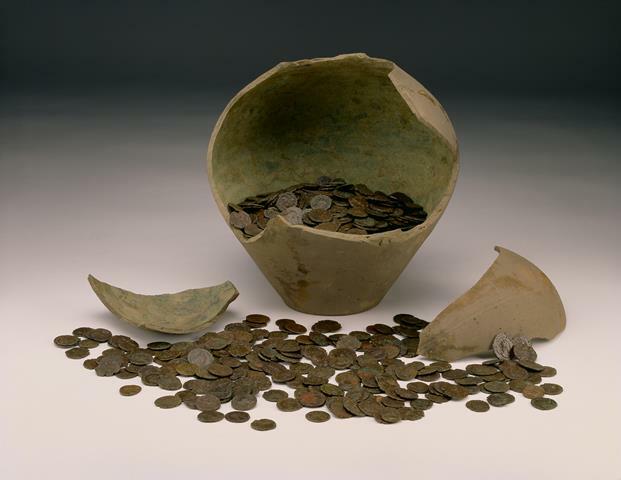 A new website, made possible by the Ashmolean Museum, allows users to explore coin hoards of the Roman Empire. In this phase, the Project aims to collect summary hoard data from as many Roman provinces as possible, as well as inputting a selection of hoards at the level of the individual coin. 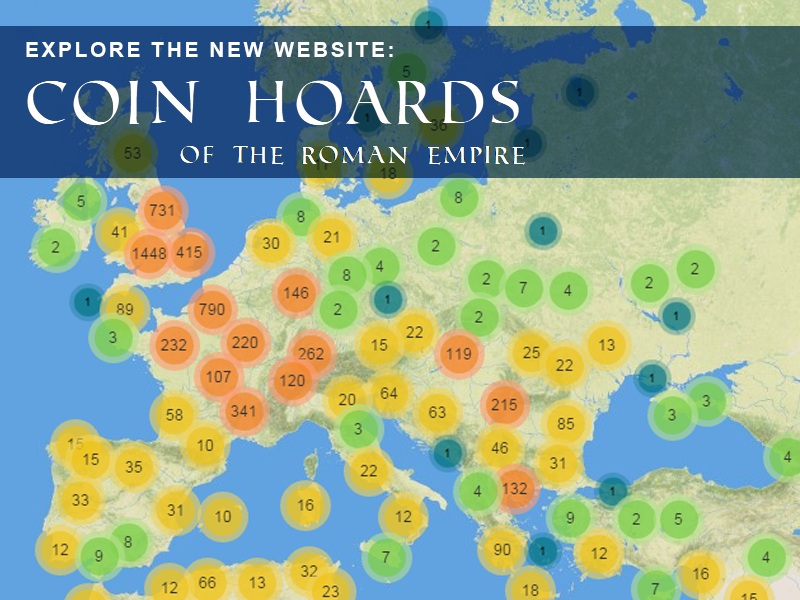 As such, the new website provides information on the location of coin hoards, as well as the periods, persons, mints, and denominiations represented in them. Further information on the hoards' archaeological context and associated objects is also available. 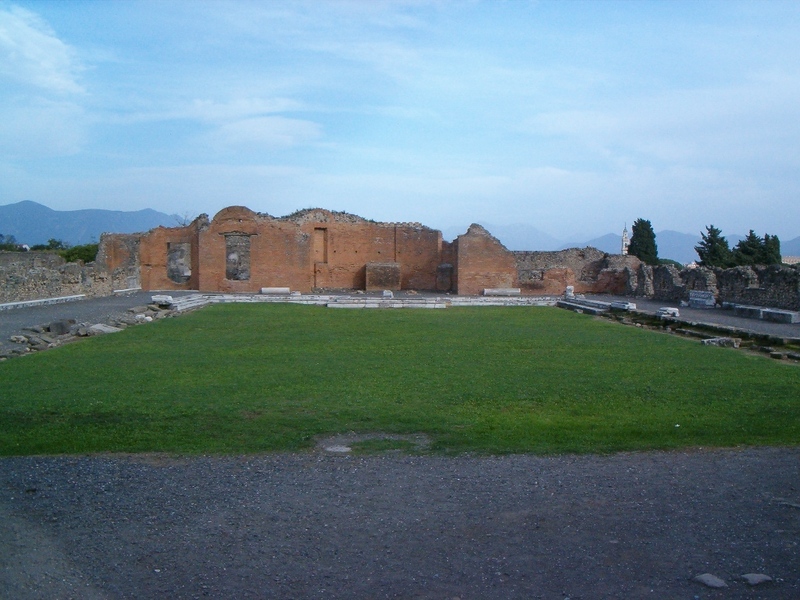 The Economy of Pompeii, edited Miko Flohr and Andrew Wilson, presents fourteen papers by Roman archaeologists and historians, discusses approaches to the economic history of Pompeii, and the role of the Pompeian evidence in debates about the Roman economy. The Roman Discussion Forum hosts talks on themes related to the Oxford Roman Economy Project. We meet Wednesdays 1.00 p.m. in the Lecture Room of the Institute of Archaeology, Beaumont Street, Oxford. Exceptions to the normal schedule are noted below. All welcome! The latest volume in the Oxford Studies on the Roman Economy series is now available through the Oxford University Press website. Find out more about this new book on Urban Craftsmen and Traders in the Roman World here. 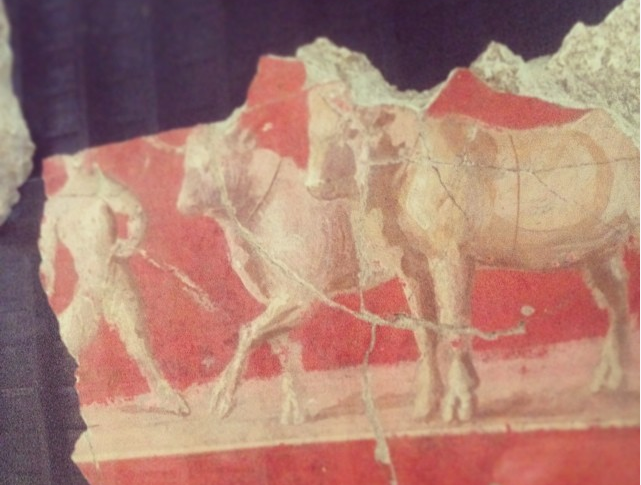 In collaboration with the International Council for Archeozoology's Roman Period Working Group, OxREP has created a new bibliography on Roman zooarchaeology and livestock husbandry. This resource highlights key regional and thematic overviews, with special reference to bird exploitation, butchery and craft production, and the army's impact on livestock husbandry. Regional sections span the entirity of the Roman world from Iberia to Anatonlia. The bibliography's inclusive chronology covers the preiod between the Iron Age-Roman transition and the decline of the Empire. The bibliography is downloadble in a variety of reference manager formats. Updates and further suggestions are welcome. To view or download the biblography click here. 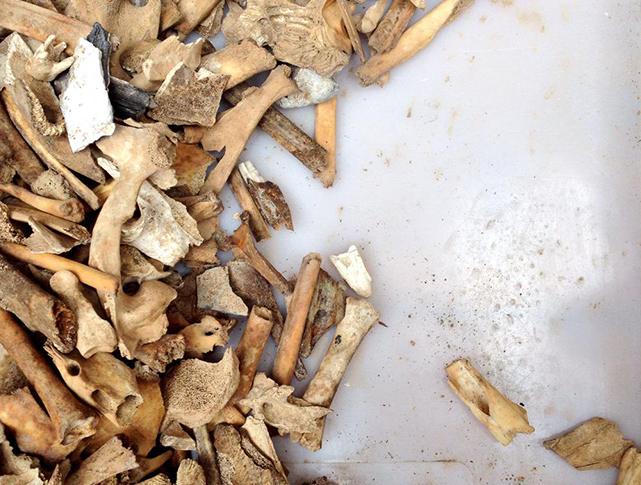 For more on Roman zooarchaeology, visit the International Council for Archeozoology's Roman Period Working Group. The Roman Discussion Forum hosts talks on themes related to the Oxford Roman Economy Project. We meet Wednesdays 1.00 p.m. in the Lecture Room of the Institute of Archaeology, Beaumont Street, Oxford. 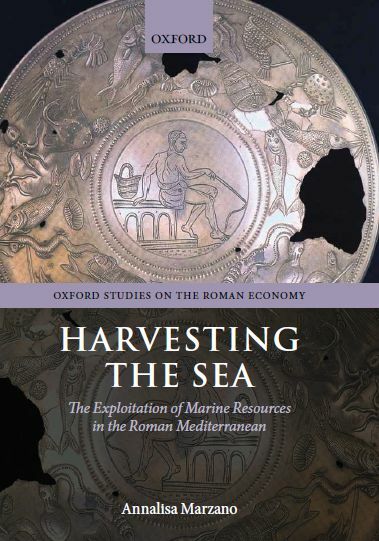 Annalisa Marzano's book, Harvesting the Sea: The Exploitation of Marine Resources in the Roman Mediterranean, has been praised by Geoffrey Kron (University of Victoria) as "an outstanding overview of the importance of maritime resources in the Roman economy". The review in the Bryn Mawr Classical Review also applauds the breadth of the book and its "significant advances over the interpretations current in the archaeological and technical literature". The volume, published in the Oxford Studies on the Roman Economy series in 2013, provides the first systematic treatment of the exploitation of various marine resources, such as large-scale fishing, fish salting, salt and purple-dye production, and oyster and fish-farming, in the Roman world and its role within the ancient economy. As Kron points out, the book "will appeal to scholars, graduate and undergraduate students and general readers interested in the Greco-Roman economy, fishing, fish farming, shellfish culture, salt production, and garum and salsamenta." 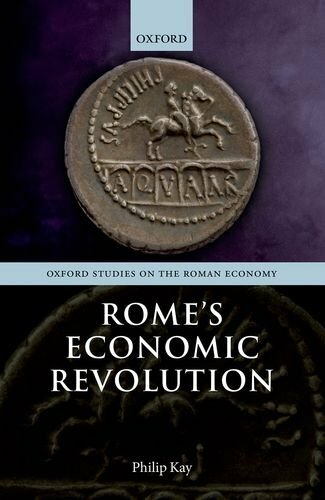 Online discounts are available through OUP for six titles in the Oxford Studies on the Roman Economy series. Erdkamp, P., Verboven, K., and Zuiderhoek, A. (eds) (2015). Ownership and Exploitation of Land and Natural Resources in the Roman World (Oxford Studies on the Roman Economy). Oxford. For further details available or to order visit Oxford University Press. The Roman Discussion Forum of Trinity Term 2015 will have several talks on themes related to the Oxford Roman Economy Project. All lectures start at 1pm in the Lecture Room in the Institute of Archaeology. The beginning of wine production in the central coast of Catalonia has traditionally been linked to the development of Roman villas and the foundation of the colony of Barcino. Nevertheless, recent research shows a different model, where indigenous communities and the presence of the Roman army played an important role. 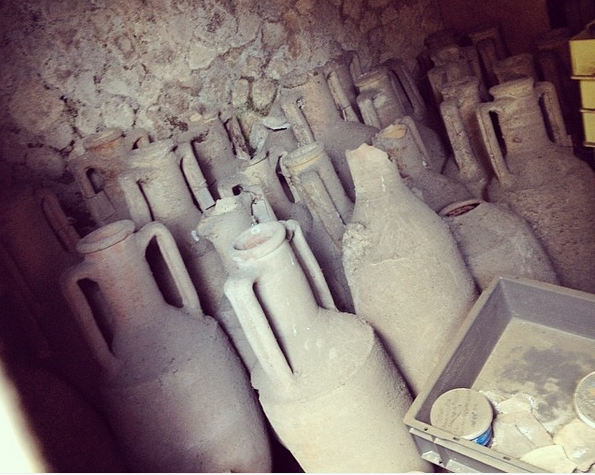 I will analyse the development of this wine production (from the beginning of the 1st c. B.C., until the end of 1st c. AD) and its landscape implications: changes in settlement patterns, the development of certain regions, identification of rural structures, and so on. This paper will discuss the results of new excavations and landscape surveys in the Pyrenees region, especially in the Cerdanya zone, which shed new light on the military presence in the second and first century B.C., and on the early imperial period economy of the region. 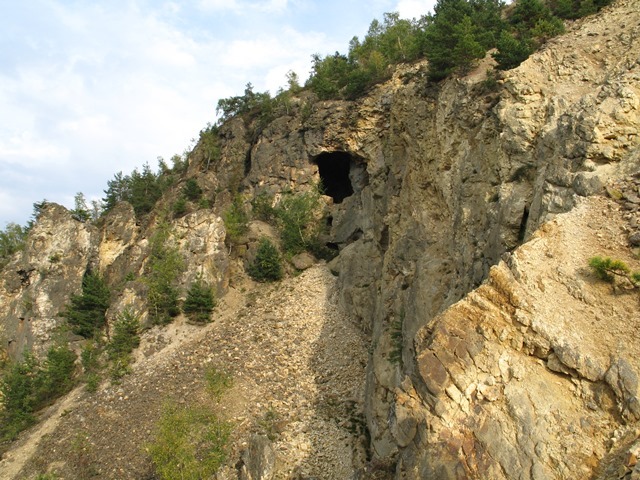 I will focus especially on two aspects of mining: the rise of the iron production (in the Republican and late imperial periods), and the interest in exploiting gold resources (probably in the early imperial period). Despite the problems of our data collection (scattered and limited), we can propose some historical interpretations about the Roman presence in the Pyrenees. The Roman Discussion Forum of Hilary Term 2015 will have several talks on themes related to the Oxford Roman Economy Project. All lectures start at 1pm in the Lecture Room in the Institute of Archaeology. The Roman Discussion Forum of Michaelmas Term 2014 will have several talks on themes related to the Oxford Roman Economy Project. All lectures start at 1pm in the Lecture Room in the Institute of Archaeology. 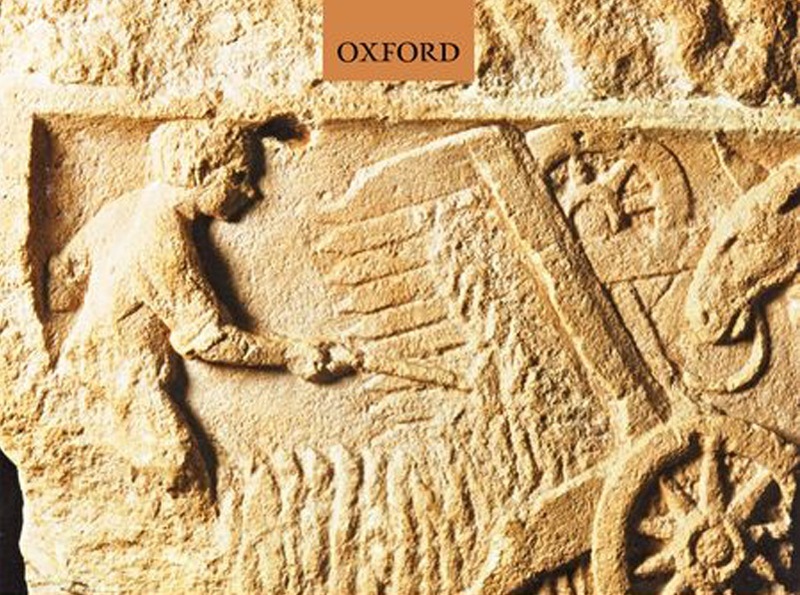 The latest volume in the Oxford Studies on the Roman Economy series has been released! Old Library, All Souls College. The Roman Discussion Forum of Trinity Term 2014 will have several talks on themes related to the Oxford Roman Economy Project. All lectures start at 1pm in the Lecture Room in the School of Archaeology. This paper will present some new information about the Roman land surveyors and the province of Spain, based on a newly discovered 9th-century manuscript published recently by one of Prof. Olesti Vila’s doctoral students, Ricard Andreu, which contains a totally new description of Roman Spain among a collection of agrimensorial texts. The Roman Pyrenees from the second century B.C. to the second century A.D. This paper will discuss the results of new excavations and landscape surveys in the Cerdanya region of the Spanish Pyrenees, which shed new light on the military presence in the second and first century B.C., and on the early imperial period economy of the region, especially regarding the city of Iulia Livia, and evidence for gold mining in the region. Prof. Andrew Wilson will be giving a lecture on “Tributary landscapes? 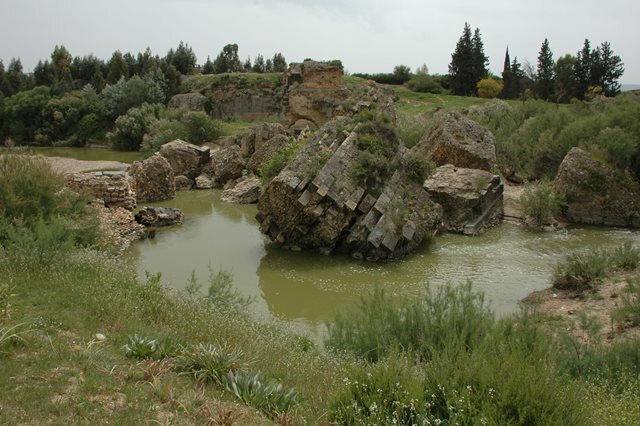 Power, mining and control in Roman Spain” on Monday 3rd February (Ioannou Centre Lecture Room). 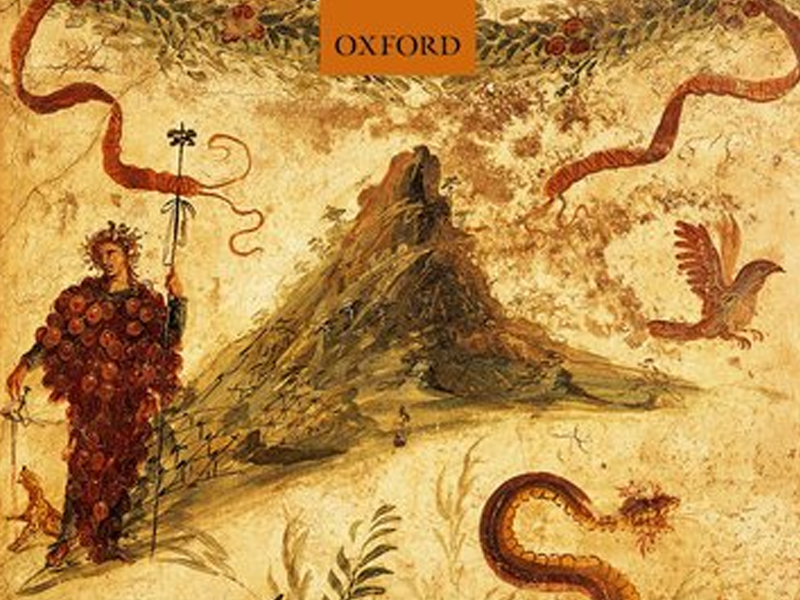 The latest volume in the Oxford Studies on the Roman Economy series has been released today! In this volume, Philip Kay examines economic change in Rome and Italy between the Second Punic War and the middle of the first century BC. He argues that increased inflows of bullion, in particular silver, combined with an expansion of the availability of credit to produce significant growth in monetary liquidity. This, in turn, stimulated market developments, such as investment farming, trade, construction, and manufacturing, and radically changed the composition and scale of the Roman economy. Using a wide range of evidence and scholarly investigation, Kay demonstrates how Rome, in the second and first centuries BC, became a coherent economic entity experiencing real per capita economic growth. Without an understanding of this economic revolution, the contemporaneous political and cultural changes in Roman society cannot be fully comprehended or explained. 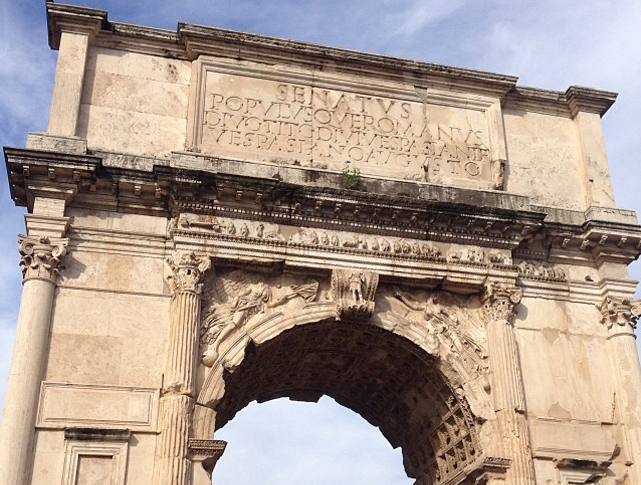 The use of stone in vast quantities is a ubiquitous and defining feature of the material culture of the Roman world. In this volume, Russell provides a new and wide-ranging examination of the production, distribution, and use of carved stone objects throughout the Roman world, including how enormous quantities of high-quality white and polychrome marbles were moved all around the Mediterranean to meet the demand for exotic material. The long-distance supply of materials for artistic and architectural production, not to mention the trade in finished objects like statues and sarcophagi, is one of the most remarkable features of the Roman world. Despite this, it has never received much attention in mainstream economic studies. 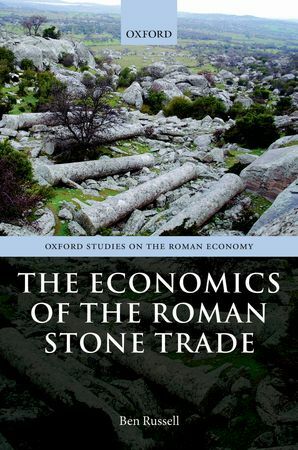 Focusing on the market for stone and its supply, the administration, distribution, and chronology of quarrying, and the practicalities of stone transport, Russell offers a detailed assessment of the Roman stone trade and how the relationship between producer and customer functioned even over considerable distances. The Roman Discussion Forum of Hilary Term 2014 will have several talks on themes related to the Oxford Roman Economy Project. All lectures start at 1pm in the Lecture Room in the School of Archaeology. Pascal Arnaud (Université de Lyon 2), "The practical impact of Roman customs procedures: new interpretations of the Roman Customs Law of Asia"
The Oxford Roman Economy Project participates in a workshop on Fuel and Fire in the Roman World held at the Britisch School at Rome and the Finnish Institute of Rome on 8 and 9 March 2013, and organized by Robyn Veal. Speakers and discussants include Jim Ball, Laura Banducci, Silvie Coubray, Hilary Cool, Girolamo Fiorentini, David Griffiths, William Harris, Mohamed Kenawi, Victoria Leitch, Archer Martin, Heike Möller, Nicolas Monteix, Tony Rook, Ferdinando de Simone, Robyn Veal, Andrew Wilson, and Véronique Zech-Matterne. Full programme can be found here. Abstracts have been published on the site of the British School at Rome. Three new bibliographies have recently been added to our bibliographies section. A general introductory bibliography, compiled by Andrew Wilson, gives an overview of the key publications discussing the Roman Economy in general terms. An Indo-Roman Trade bibliography, compiled by Andrew Wilson, provides an exhaustive list of publications on aspects of trade between the Roman Empire and India, including the Arab Peninsula. A Roman Textile Economy bibliography, compiled by Miko Flohr, includes recent (and not-so-recent) work on Textile Economies in the Roman World. Please feel free to use these bibliographies for your own purpose in research and/or teaching. 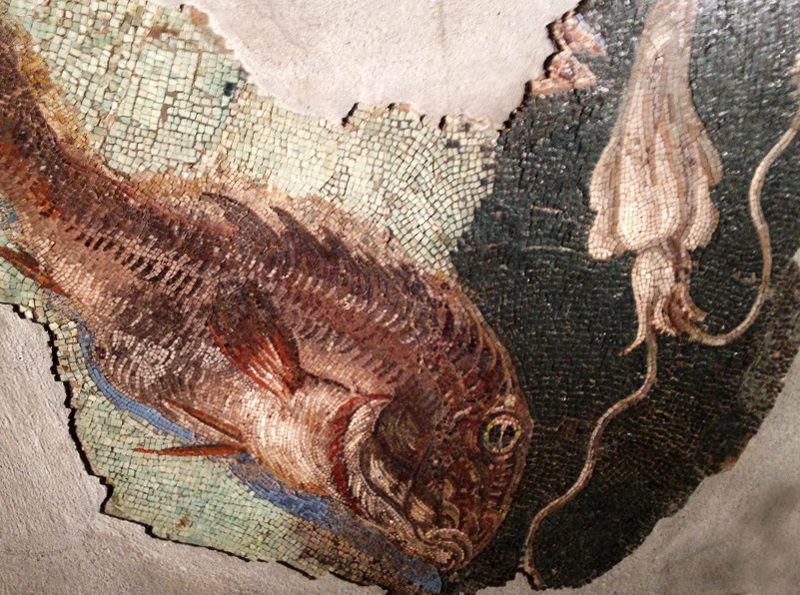 On November 15, 2012, The Oxford Roman Economy Project and the Centre Camille Jullian will organize a workshop on coastal life in Roman Times. The workshop will take place at the Ioannou Centre for Classical and Byzantine Studies in Oxford. Attendance is free, but in order for us to organize numbers, please register through coastal.life.in.roman.times@gmail.com. The full programme can be found here. The workshop will bring together young doctoral students from Oxford and the Centre Camille Jullian in Aix-en-Provence and will address questions such as: What are the determinants of the economic success of port cities both in the Roman period and in Late Antiquity? How did cities invest in their maritime export or import potential? How integrated were smaller coastal settlements, coastal villas, or more inland productive centres in the wider Mediterranean economy? Were these ports only connected with their own territory or also with the territory of more inland cities? Can we identify connectivity along coastal façades, and interaction of both larger and smaller ports with their coastal hinterlands? 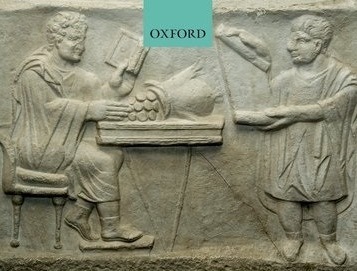 Roman Discussion Forum of Trinity Term 2012 will have many talks on themes related to the Oxford Roman Economy Project. There are two talks on perfume production by Jean-Piere Brun (October 10th), a the ports of Rome by Simon Keay (October 31st), a talk navigation by Jonathan Christensen (November 14th) and a talk on iron production by Ruth Fillery-Travis (November 21st). We have now uploaded and published all the abstracts of the ESF conference on 'Urban Economic Life in Europe and the Mediterranean before 1800'. Please feel free to take a look at them at the conference page. The conference will take place in All Souls College, Oxford on 9-10 november, and is organized by the Oxford Roman Economy Project. Attendance of the conference is free, but in order for us to plan numbers please register through miko.flohr@classics.ox.ac.uk before October 20th. . Registration is now open for the ESF conference on 'Urban Economic Life in Europe and the Mediterranean before 1800'. The conference will take place in All Souls College, Oxford on 9-10 november, and is organized by the Oxford Roman Economy Project. Attendance of the conference is free, but in order for us to plan numbers please register through miko.flohr@classics.ox.ac.uk before October 20th. We have also finalized the programme, which you can download through the link below. More information on the conference can be found on the conference page. This book emerges from one of the many fruitful colloquiums organised as part of the Oxford Roman Economy Project (OXREP) ... within the quantitative framework provided by the editors and shared by many of its contributors, this volume ultimately achieves what it intends; that is, to assess and analyse quantifiable data on the Roman economy as well as to provide interpretations for how these data fit within wider categories of economic behaviour, institutions and processes. Another review has been written by William Caraher (North Dakota). Full text can be found here. Registration is now open for the conference 'Structure and scale of Roman urban economies: the case of Pompeii' that will take place in Oxford on 29-30 June, co-organized by the Oxford Roman Economy Project and the Network on Structural Determinants of Economic Performance in the Roman World. Attendance of the conference is free, but in order for us to plan numbers please register through miko.flohr@classics.ox.ac.uk before June 15th. We have also finalized the programme, which you can download through the link below. On Wednesday, May 16th (3:30 pm) the Roman Economy Project will organize the first of a series of Work-in-Progress Sessions aimed at Oxford-based researchers and graduate students working on themes related to the Roman Economy in the widest sense of the word. Particularly, the work-in-progress sessions aim to bring together ancient historians and archaeologists working on themes related to the Roman economy. These sessions provide an opportunity to present and test, in a small scale environment, newly developing ideas, and to discuss current developments in the field in a more or less informal atmosphere. Presentations will be short (max. 15 minutes) and followed by discussion. For the first session, confirmed speakers are Jack Hanson, Greg Votruba and Frits Heinrich. The European Science Foundation has awarded a 15.000,- conference grant to Andrew Wilson and Miko Flohr for the organization of a conference on Urban Economic Life in Europe and the Mediterranean from Antiquity to the Early Modern Period. The conference will bring together a group of leading scholars from a wide range of national and academic backgrounds and aims to be the starting point for interdisciplinary, Europe-wide collaboration that will foster comparative approaches to urban economic life in preindustrial societies and will take academic debate about the topic to a higher level. The conference follows-up on the ESF Exploratory Workshop on ‘Beyond Marginality. Craftsmen Traders and the socioeconomic History of Roman Urban Communities’ held at Oxford, 21-24 July 2011. A feeling shared by many participants at this workshop was that it would be highly desirable to have a follow-up conference that would link scholarly debates on urban economic life in antiquity to debates on similar issues in other preindustrial societies, particularly those of Medieval and Early Modern Europe and the Mediterranean. While social and economic historians of these later periods often discuss comparable questions and may use a comparable theoretical framework, there is little or no interaction between these scholars and those working on the ancient world: at universities, they are often divided over different academic departments, and there are no regular conferences where both groups really meet. Scholars typically publish in different journals that focus either on the ancient world, or on medieval and modern Europe. There is thus no clear, shared picture of similarities and differences between the urban economic life of different preindustrial societies. More detailed information about the workshop will follow soon. This terms Roman Discussion Forum has several talks on themes related to the Oxford Roman Economy Project. Especially relevant are the talks in week 1 (Jan. 18th) by Professor Chris Howgego on monetization in Roman Europe, week 4 (Feb. 8th) by Dr. James Andrews on rented apartments at Herculaneum, week 5 (Feb. 15th) on trade in Samian ware by Meike Weber, and week 8 (Mar. 7th) on the economy of Roman Construction, by Dr. Janet DeLaine. The Oxford Roman Economy Project, in collaboration with the Network on Structural Determinants of Economic Performance in the Roman World (Flanders Research Foundation), organizes a two day conference on the Economy of Pompeii in Oxford, on June 29-30, 2012. This conference brings together Pompeii specialists and leading economic historians of the Roman world to explore what Pompeii’s unique remains have to offer to the larger debates about structure and scale in the Roman economy. In doing so, the conference will foster debate contributing to both our understanding of Pompeii and that of the Roman economy. Tyler Franconi, University of Oxford. 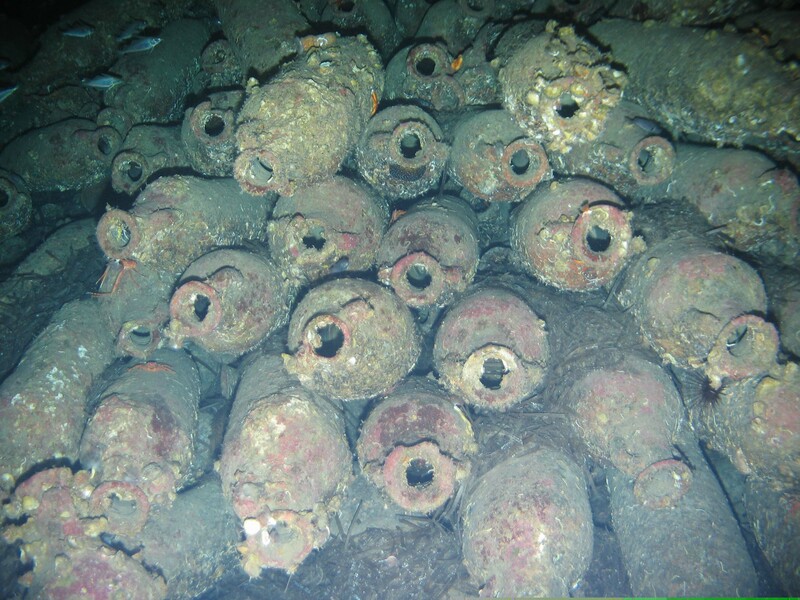 This paper seeks to examine the ways through which the Rhine frontier of the Roman empire received amphora-borne products over the course of the first three centuries C.E. While it has long been argued that the riverways of Gaul allowed for high levels of traffic into the continent, quantitative evidence for these trade routes has been noticeably lacking, leaving us with many assumptions and few facts. This paper examines the riverine networks of northwest Europe and the extent of their navigability, taking into account key factors such as flow direction, flow velocity, flow output, and seasonal variations in these figures. It then examines the quantified amphora assemblages of some 40 excavated sites along the 1,200 km length of the Rhine River, taking a panoptic and comparative view toward the evidence. Such an approach allows one to speak of regional and microregional networks of supply and whether or not they were facilitated by river trade. Other methods of travel, (i.e., roads and the sea), are examined as possible alternatives, with an eye toward reevaluating the long-held belief that rivers were always more cost efficient than roads, and that the sea was the most cost effective. This paper argues that, while this hierarchy of transport convenience may hold in theory, in practice it is much more complex. In doing so, this case study develops a more nuanced view of the ways in which a region could be supplied over time. Katia Schörle, University of Oxford. Katia Schörle will be presenting the preliminary results of her survey of the coastal landscape to the west of Lepcis Magna in the Roman trade in the Mediterranean Session. The survey covered 27 km of coast to the west of Villa Silin, and revealed a high density of maritime residences interspersed with productive sites, showing evidence for olive and wine production in a pattern very similar to that identified by Marzano in Latium and Campania. The villas were strategically located on promontories overlooking the sea and nearby wadis (dry riverbeds) to optimize their use of natural bays and the beauty of the physical landscape. These villas, which display imported marble, monumental porticoed façades, and imported fine ware, were involved in a range of activities, whether agricultural or concerning the exploitation of marine resources. This is evidenced by wine and/or oil presses and, in one instance, a fish-salting facility. In addition, several amphora kiln sites were located in association with the villas. This has considerable implications for Tripolitania’s role in pan-Mediterranean trade and its importance as a productive center, in terms of its trade with Rome, and surprisingly with Gaul. This allows us to suggest and map new routes and increase our understanding of the importance, evolution, and connectivity of one of North Africa’s most important cities. Dr. Miko Flohr, University of Oxford. This paper uses the material remains of large-scale fulling workshops (fullonicae) from Ostia and Rome to discuss how the extremely high demand for all kinds of goods in Rome and the surrounding metropolitan area could transform the ways in which this demand was met and resulted in forms of organization and patterns of investment that were unique in the ancient world and seem to have few parallels in world history before the industrial revolution. Fulling was a procedure that aimed at polishing or recovering woolen garments, particularly mantles and cloaks, both new and used. While fulling in the Roman world is often considered part of the textile production chain, it actually was closely affiliated with trade and consumption; the evidence, especially from Rome and Ostia, strongly suggests that fulling of new clothes was often importrelated and primarily oriented toward local demand; the large fullonicas of Ostia and Rome dealt with clothes that had been produced elsewhere and were destined to be sold on the metropolitan market. This makes these workshops an ideal data set to discuss the transformative effects of the Roman metropolis on the scale and organization of supply. 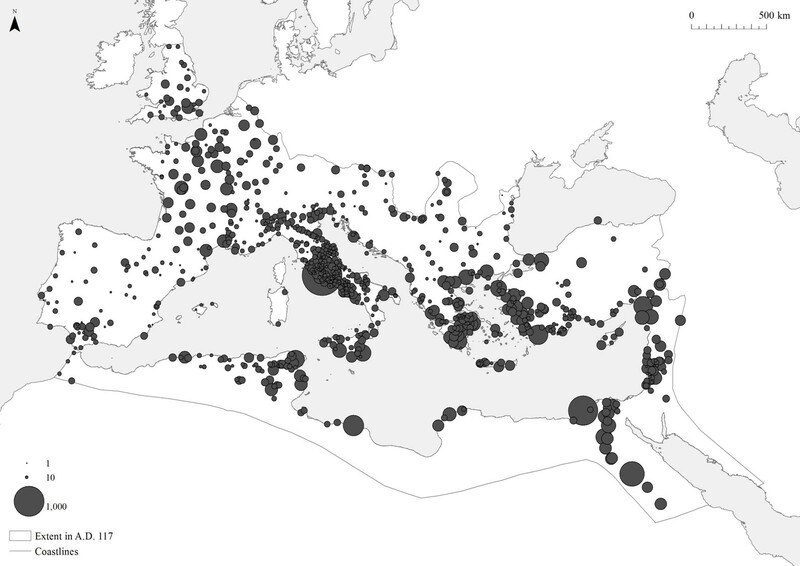 Comparing the large fullonicae of Ostia and Rome with those at Pompeii, one can sketch a fairly detailed picture of the relative scale of these workshops and of the social and economic contexts in which they operated. 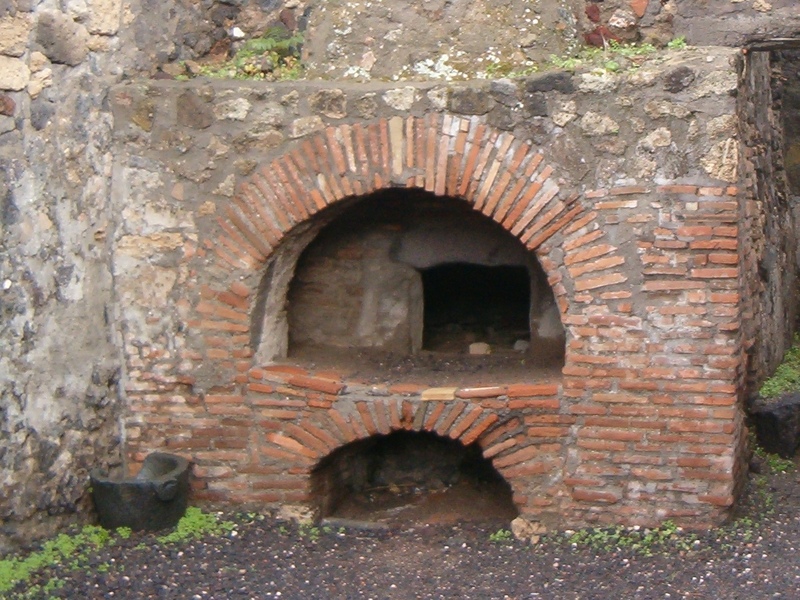 This paper shows that there was a sharp contrast between the relatively small-scale, family-run workshops at Pompeii and the large-scale fulling factories at Ostia and Rome, and argues that this contrast was caused by the extremely large structural demand for new clothes on the metropolitan market, which made it attractive for traders to invest in largescale fulling facilities and enjoy economies of scale. It is also argued that the social and economic consequences of their choices must not be underestimated; these fullonicae are at straight odds with what we conceive of as 'pre-industrial,' and their remains show how, at least in the city of Rome and its environment, the economy to a certain extent shaped society rather than the other way around. Candace Rice, University of Oxford. The Lycian landscape is striking. Described by Strabo as rugged and hard to travel, the province is largely unfertile. Yet during the Roman period, particularly from the second century C.E. onward, the region witnessed increased prosperity and urbanization. This paper addresses the reasons behind this success, hinted at by the remainder of Strabo’s description that the region was exceedingly well supplied with harbors (14.3.2). 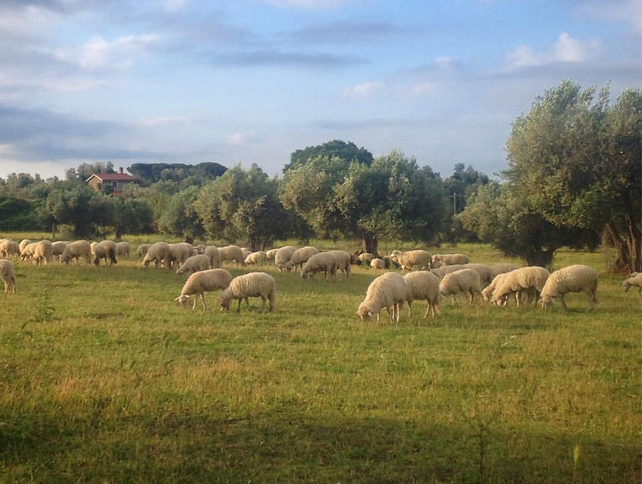 While agriculture is typically heralded as the primary basis of the ancient economy, ever increasing research is highlighting the importance of non-agricultural factors in the Roman economy. Lycia, an area with a very small percentage of arable land, provides an informative case study into the diversity of the Roman economy. In this landscape, a dense network of ports provided the necessary interface for the supply of the region, from essential commodities such as grain and oil to luxury items, and for the exportation of locally produced goods on both a regional and interregional level. This paper examines the archaeological evidence along the coastline of Lycia to elucidate the various economic factors involved not only in the subsistence of the province but also in its wealth. 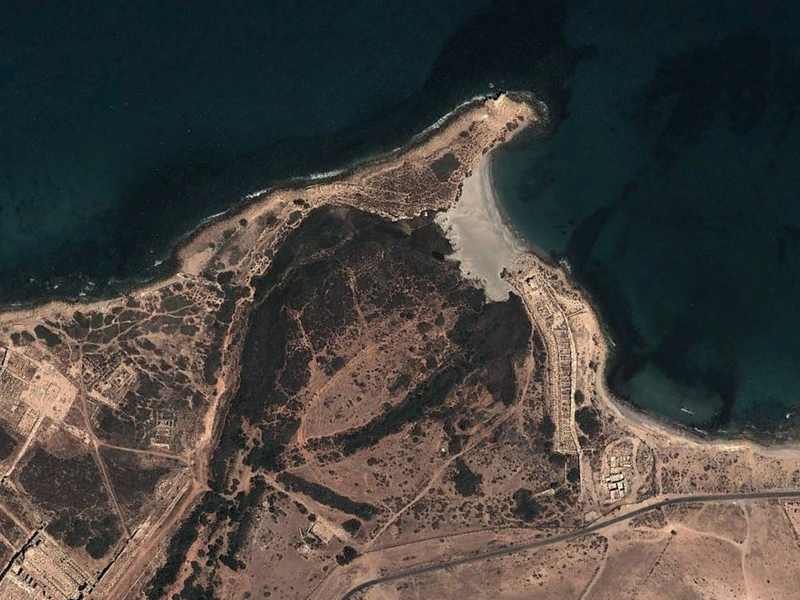 Combining various fields of evidence, such as soil conditions, harbor infrastructure, urban production, imports, monumental building, and imperial benefaction, this paper argues that Lycia looked to the sea for its wealth. In doing so, this paper addresses a number of related questions: To what extent were various ports along this coastline integrated into the trading network of the Roman Mediterranean? Did integration vary based on the size of the port, its facilities, or the productive capabilities of its hinterland? Did certain ports become more successful at the expense of neighboring ports, or did increased trade facilitate a more general, widespread prosperity? To what degree was trade focused internally toward the hinterland vs. externally across the Mediterranean? 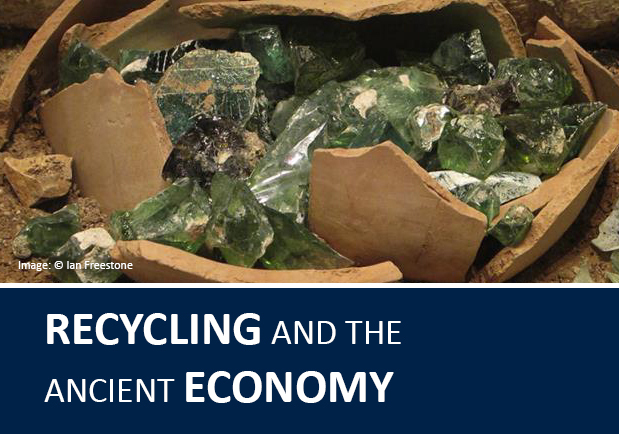 In exploring these questions, this paper presents a nuanced view of how supply and demand both required and facilitated a largely maritime-based economy in Lycia. Next year's AIA at Philadelphia has a session on 'New Models of Trade and Supply in the Roman Empire', initiated by Candace Rice and Tyler Franconi, in which several scholars affiliated to OxREP participate (January 8, 2012 8.30-11.30 AM EST). Maritime Archaeology and Ancient Trade in the Mediterranean comprises twelve papers that look at the shifting patterns of maritime trade as seen through archaeological evidence across the economic cycle of Classical Antiquity. Papers range from an initial study of Egyptian ship wrecks dating from the sixth to fifth century BC from the submerged harbour of Heracleion-Thonis through to studies of connectivity and trade in the eastern Mediterranean during the Late Antique period. The majority of the papers, however, focus on the high point in ancient maritime trade during the Roman period and examine developments in shipping, port facilities and trading routes. Tyler Franconi and Candace Rice, both affiliated with the Oxford Roman Economy Project, are organizing a session on New Models of Trade and Supply in the Roman Empire at this year's Annual Meeting of the American Institute of Archaeology. The session presents current investigations into the economics of trade and supply within the Roman Empire. In particular, it aims to assess the extent and scale of regional and micro-regional integration of economic systems within the larger Roman economy. Regional needs varied based on many factors. To meet these needs, areas were supplied by both local and long-distance resources, though the mechanics of this supply are not fully understood. The level of inter-regional economic connectivity needs further investigation. How important was local production relative to imports, and what socio-economic reasons can we see behind this relationship? 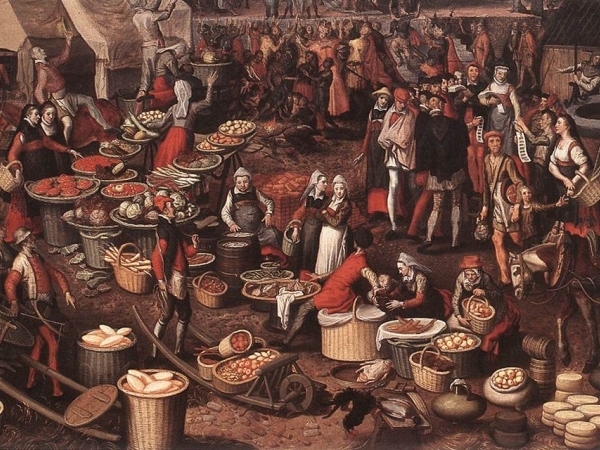 To what extent was trade driven by consumer demand? How did Imperial and private enterprise influence the movement of commodities? How much knowledge did merchants and producers have of their destination markets, and was trade truly as haphazard as some scholars would have us believe? 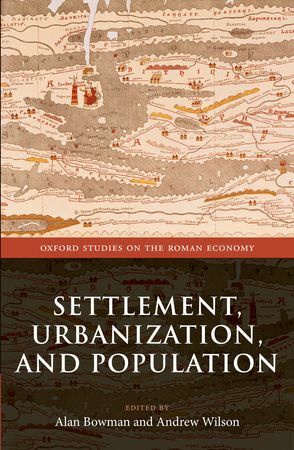 The second volume of the Oxford Studies on the Roman Economy series - Settlement, Urbanization and Population - will appear next month, and can now be preordered at the OUP Website. This volume presents a collection of studies focussing on population and settlement patterns in the Roman empire in the perspective of the economic development of the Mediterranean world between 100 BC and AD 350. The analyses offered here highlight the issues of regional and temporal variation in Italy, Spain, Britain, Egypt, Crete, and Asia Minor from classical Greece to the early Byzantine period. The Classical Archaeology Graduate Seminar for Michaelmas Term 2011 will focus on the role of everyday work – and especially manufacturing – in the cities of the Greek and Roman world. Work was a central aspect of social life in urban as well as rural communities, and shops and workshops were a defining element in urban landscapes. The key question which the seminar will address is how we can use the evidence for everyday work in understanding the social and cultural dynamics of urban communities in classical antiquity. Rather than examining production technology or economic history, this seminar will therefore focus primarily on the social and cultural aspects of crafts and trade, with speakers discussing the spatial position of manufacturing establishments in their urban contexts, the iconography of crafts and craftsmen, and the social contexts in which manufacturing was done. The seminar is organized by Dr. Janet DeLaine and Dr. Miko Flohr, and will take place on Monday, 5pm in the Ioannou Centre for Classical and Byzantine Studies. Speakers include Serafina Cuomo, Lin Foxhall, Vladimir Stissi, Thomas Mannack, Alex Mullen, Peter Stewart, Nicolas Monteix, and Miko Flohr. Poster: An Industrial Revolution in Rome? A poster, recently presented bij Dr. Miko Flohr at the Oxford Humanities Division Research Showcase, has been uploaded and is now available online. The poster presents - to a non-specialist audience - some of the conclusions coming from his research project 'The World of the Fullo', particularly focusing on our interpretation of the large-scale fulling factories at Ostia and Rome, and the implications of these workshops for our ideas about the uniqueness of what exactly is happening in the metropolitan area of Rome. Due to technical issues, the mining bibliography was off-line for a week or two, but it is back up now, and accessible here. Prof. Oriol Olesti Vila (Dpt. Ciències de l'Antiguitat. Universitat Autònoma de Barcelona) will, as part of his Erasmus Exchange with the Oxford Roman Economy Project, give a special lecture on: "The Roman occupation of the Pyrennes (Cerdanya Region): Cities, landscapes and gold mines." Tuesday 21 June, 5 pm, Institute of Archaeology Lecture Room. All are welcome. Prof. Oriol Olesti Vila (Dpt. Ciències de l'Antiguitat. Universitat Autònoma de Barcelona) will, as part of his Erasmus Exchange with the Oxford Roman Economy Project, give a special lecture on: "New research on the production of Laetanian wine: from the amphora to the social landscape." Monday 20 June, 2 pm, Institute of Archaeology Lecture Room. All are welcome. The Roman Discussion Forum of Trinity Term 2011 has several papers closely related to the themes of the Oxford Roman Economy Project. Relevant speakers include Stacey McGowen, Janice Kinory, Kris Lockyear, Cathy King and Jack Hanson. This conference, organized by Dr. Vivien Prigent and Dr. Arietta Papaconstantinou, is the first of a series on the seventh century, in which we would like to explore the various micro-systems of exchange during the long seventh century in the vast area from northern Europe to the Indian Ocean, focusing successively on several seas and the coastal areas that surround them. The sixth OXREP conference will be held in Oxford on September 26-27, 2011 and will focus on the economics of Roman Art. While the Roman world produced an astounding quantity of artistic works, the economics of producing, selling and consuming these works have received only limited attention in scholarly debates about Roman art, while art as a product category is more or less absent from discussions of the Roman economy. Distinguished Lecture on Wednesday, 23rd February 2011 by Professor Alan K. Bowman FBA, Director of the Centre for the Study of Ancient Documents, Principal of Brasenose College, Oxford and formerly Camden Professor of Ancient History, University of Oxford. As part of the Corpus Christi Classics Seminar of Hilary Term 2011, entitled ''Communication and exchange in multilingual societies from Gaul to Central Asia'', prof. Andrew Wilson will give a seminar on ''Roman traders and interpreters: translation and transaction costs''. Corpus Christi College, Seminar Room, Wednesday, February 2nd, 5 pm. More information on the seminar can be found here. The University of Oxford will host an ESF Exploratory Workshop on Craftsmen and Traders in the Roman World organized by dr. Miko Flohr and Prof. Andrew Wilson from July 21-23, 2011 at Wolfson College. 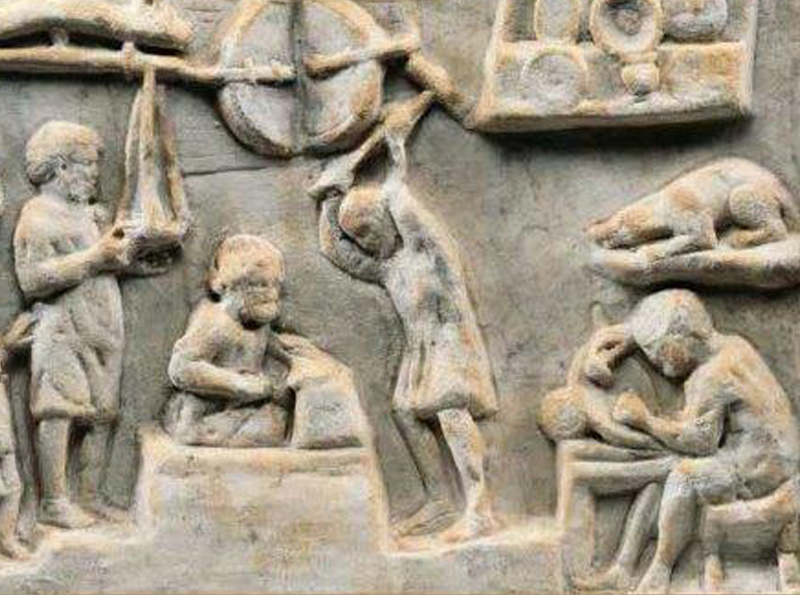 This workshop will bring together, for the first time, specialists from all over Europe to discuss the socioeconomic contexts of craftsmen and traders in the Roman World. The classical archaeology seminar of Michaelmas Term 2010, organized by Prof. Andrew Wilson and Prof. Chris Gosden focuses on silk routes and eastern contacts, a theme relevant to the project. Speakers include Sarah Nelson, P. J. Cherian, Rachel Mairs, Marijke van der Veen, Susan Whitfield, Derek Kennet, Shailendra Bhandare, Cameron Petrie, Eivind Heldaas, and Seland Daniel Rogers. The Oxford Roman Economy Project will be holding a two-day conference on mining, metal supply and coinage on 1–2 October 2010, with sessions on regional evidence of mining from Spain, Britain, Dacia, the Balkans, Cyprus and Egypt, and on metal supply and coinage. The Oxford Roman Economy Project is pleased to announce that all 400 copies of the first print run of volume 1 in our series Oxford Studies on the Roman Economy have been sold, and Oxford University Press has already begun the second print run. Quantifying the Roman Economy: Methods and Problems was published 25 June 2009, and its second printing begun in the first week of September. The Oxford Roman Economy Project presents Ports and Canals in the Roman World: Infrastructure and Trade. This conference will explore Roman maritime commerce by discussing the infrastructure created to enhance and support trade. Papers will focus on a variety of issues such as port location and harbour construction as well as the evidence for connectivity and trade routes. The Oxford Roman Economy Project will be holding a three-day conference on trade on 1â? ?3 October 2009, with sessions on institutions and government stimuli, trade within the empire, and trade across imperial boundaries. Speakers will include Philip Kay, Alan Bowman, Boudewijn Sirks, Elio Lo Cascio, Jean-Jacques Aubert, Hannah Friedman, Salvatore Martino, Colin Adams, William Harris, Ben Russell, Emanuele Papi, Michael Fulford, Paul Reynolds, Andrew Wilson, Dario Nappo, David Peacock, Barbara Davidde, Roberta Tomber, David Graf, and David Mattingly. Attendance is free, but, in order for us to plan numbers, please register with Gareth Hughes (gareth.hughes@orinst.ox.ac.uk). The conference programme may be downloaded. The Oxford Roman Economy Project is organising a conference to take place in Oxford on Friday 3rd October 2008. The focus of this conference will be on the agricultural economy of the Empire, with special reference to issues concerning agricultural productivity. Speakers will include Katherine Blouin, Alan Bowman, Helen Goodchild, Dennis Kehoe, Myrto Malouta, Annalisa Marzano and Andrew Wilson. Attendance at the conference is free of charge, but numbers are restricted, so if you would like to attend please register as soon as possible by email to alan.bowman@classics.ox.ac.uk and copy to myrto.malouta@classics.ox.ac.uk. 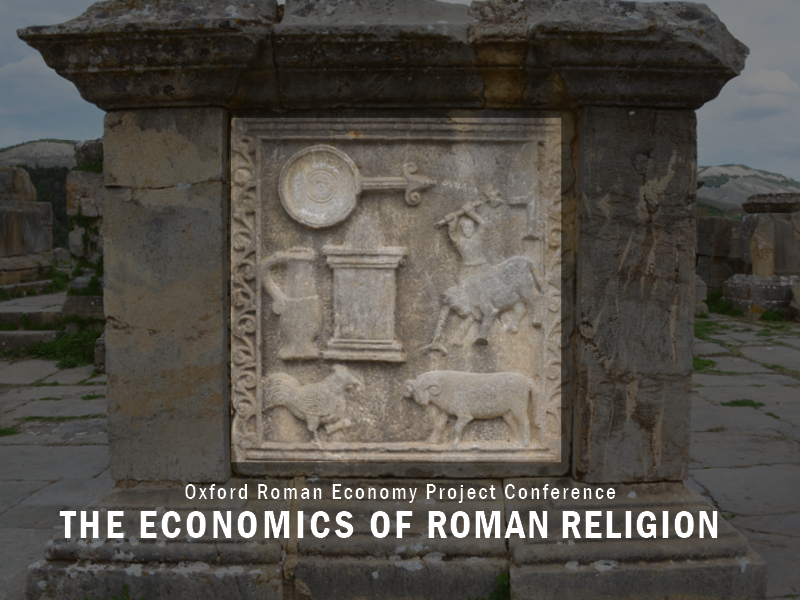 On 15 and 16 November 2007, The Oxford Roman Economy Project will host a colloquium entitled 'New Research on the Non-Agricultural Roman Economy'. The colloquium is intended to give the relatively large number of graduate students in the departments of archaeology and ancient history at Oxford who are working on issues related to the Roman Economy a chance to present an aspect of their research. Sessions will include papers on stone-working and mining techniques, mining, finance and growth on the first day, and imperial expenditure, trade, and the role of cities in the Roman economy on the second day. The Oxford Roman Economy Project is organising a conference to take place in Oxford on 10 September 2007. The focus of this conference is going to be on the demography of the Empire, with special reference to issues concerning urbanisation and population trends in specific provinces. It is intended that there will be a combination of approaches, some historical, based on information gleaned from documents, and some archaeological, based mainly on the results of field surveys. The aim will be to examine what those data suggest about settlement patterns and sizes within different provinces, and to explore the extent to which a comparative view of the better documented areas of the Empire is possible. The website is live for testing. 6 working papers have been added to the downloads section. The work is also described the the research section.